For a good cause where mingle communities of the most unique children in the city with art without borders, we invite you to not miss the most beautiful show of the season! Take your children, friends and parents and wait for you! 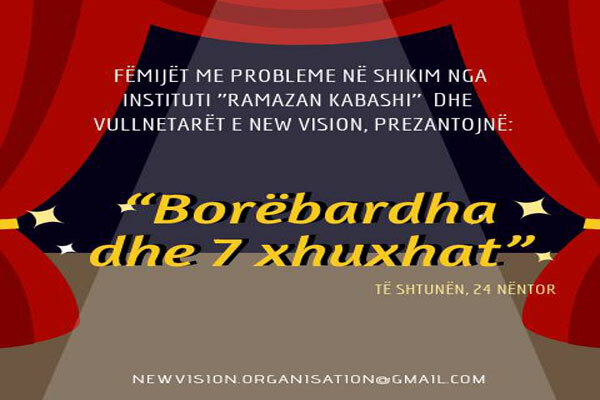 "Ramazan Kabashi" under the organization of New Vision volunteers in the framework of the "National Reading Movement" will stage the show "Snow White and the 7 dwarfs" from a completely different perspective on Saturday, November 24th at 11.00am in arTurbina.